Following the lead of the City of Fremantle, the Town of East Fremantle is moving to ban single use plastic bags. At a council meeting held on the 19th of July, the council resolved â€œthat the Town of East Fremantle develop a local law banning single use plastic bags similar to that of the City of Fremantleâ€. The move follows evidence presented in a research paper conducted by WALGA which concludes that a ban of single use plastic bags will help reduce litter in marine environments as well as reduce plastic bag contamination of the waste stream. In 2012, a bill proposing a state wide ban on the bags was defeated and since then a growing number of local councils, including the City of Fremantle have proposed their own local laws, but have failed to pass the legislative council. The Town of East Fremantle is hopeful that the increased pressure from other councils will help the legislation to pass. 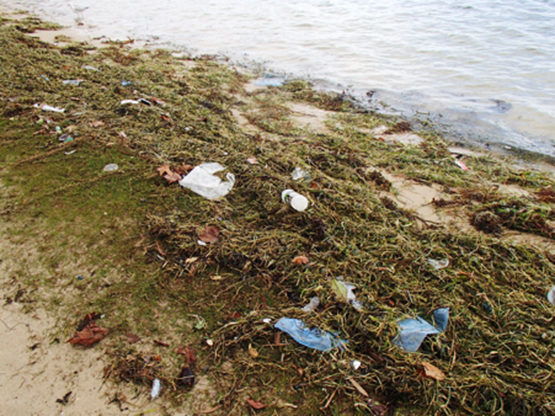 Photo: Plastic, including plastic bags washed up on the Swan River following recent storms. Credit: Town of East Fremantle. Want to win a great gift pack from Onya? 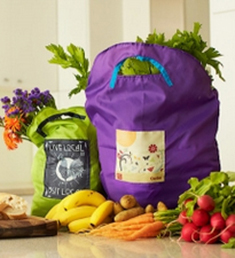 Weâ€™re offering you and a friend, a chance to go into the draw to win a reusable onya shopping bag and a set of onya produce bags. Both names will automatically go into the draw and at the end of August we will choose 2 Lucky winners. Proudly supported by the SMRC, the Garage Sale Trail is the countryâ€™s biggest â€˜reuseâ€™ community event taking place on Saturday the 22nd of October. This event provides you with a great opportunity to declutter, sell unwanted items, find a bargain and interact with people in your community. Last year more than 13,000 garage sales took place around the country encapsulating more than 350,000 buyers and sellers. Itâ€™s completely free to register your garage sale and if you donâ€™t have the space or ability to host a garage sale, you can organise or get involved in a community group sale. Registrations open on the 10th of August and for more information on the event including how to register, promote and set up your garage sale visit www.garagesaletrail.com.au. Date: 22nd of October | Time: Anytime! | Venue: Everywhere! Recycle Right, in collaboration with the City of Kwinana and the City of Fremantle has developed bin stickers aimed at helping residents gain a better understanding of what goes in the general waste and recycling bin. For the City of Kwinana, the use of bin stickers follows on from their bin tagging program conducted last year. The program saw the City of Kwinana have the greatest increase in correct recycling rates out of the 3 local governments that participated, highlighting the importance that waste education can have on community behaviour. The City is hoping to continue to educate residents on correct recycling and waste disposal behaviours and the stickers are already proving to be a big hit amongst residents and staff members. Currently the City is providing 1 sticker to be placed residents recycling bins. These are being placed on all new and replacement bins, but can be collected by residents at the City of Kwinana administration building. 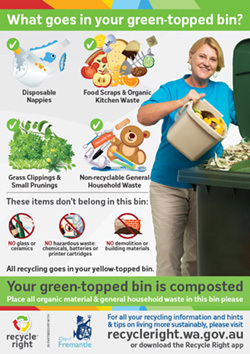 For more information, contact the Waste Team at admin@kwinana.wa.gov.au or phone 9439 0275. 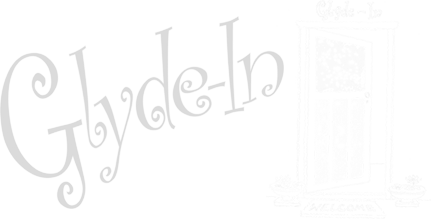 Following on from their use of bin stickers in the past, the City of Fremantle has updated their array of stickers to help educate and assist residents. The new stickers have been produced for both waste and recycling bins and from October onwards will be placed on new and replacement bins. The stickers will also be available for collection by residents at the City of Fremantleâ€™s administration and operations. You may have heard that the end of this July signals the end of VCR production. Whilst many people still love and watch old VHS tapes, for many they are collecting dust and itâ€™s time to clear out the cupboards. But how? REUSE the cases. Print out some personalised covers and use the cases to store crafts, tackle or other odds and ends neatly in the old cases. UPCYCLE your tapes in a crafty way. The tape itself can be used as yarn in crochet projects and video casing can be turned into a whole heap of different things, get creative! DONATE your old VHS tapes. By donating to a charity or op-shop you are contributing a good cause and helping to extend the life of your old tapes. DISPOSE carefully. The waste processing facilities at the Regional Resource Recovery Centre often get jammed by rolls of cassette tape, resulting in down time and additional maintenance. Save your cassette tapes for verge side collection. 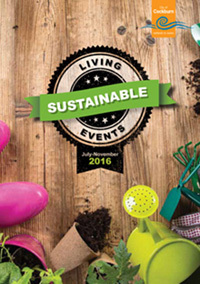 Throughout the year, the City of Cockburn are running a number of events and workshops to inspire sustainable actions and behaviours. In the coming months there is a series of events to provide you with insights into waste recovery and to get you thinking about how you can reduce, reuse and recycle. Perfect to upcycle, rags can be made into all sorts of practical and decorative things. 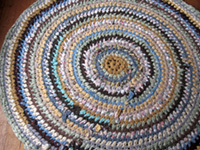 Join Leisa at the Meeting Place in South Fremantle to learn how to turn rags into rugs. The workshops run from the 9th of August until the 23rd of August on Tuesdays 9:30am - 12:00pm and there is an associated cost. For more information, call 9432 9676 or visit www.fremantle.wa.gov.au /whats-on/rag-rugs. Every year we conduct a phone survey to measure waste attitudes and behaviour in the community. The survey helps us to gain an understanding about some of the common misconceptions surrounding the use of the different bins and how people dispose of their waste. â€¢ 4% of residentâ€™s dispose of nappies in the recycling bin, up 2% from last year. Always dispose of nappies in your general waste bin. â€¢ 20% of residentâ€™s place broken glass in their weekly rubbish bin, down 3% from 2015 and 12% from 2014. Always place broken glass in your recycling bin. â€¢ 35% of residentâ€™s do not remove the lids of bottles and jars either all, or some of the time. Always remove lids from bottles and jars before placing them in your recycling bin. â€¢ 38% of residents are utilising local phone or battery collection bins, up 2% from 2015 and 13% from 2014. Always dispose of phones, e-waste and batteries at the appropriate collection point. â€¢ 53% of residentâ€™s place non rinsed items in the recycling bin, meaning people are either not rinsing all of their recyclables or are not sure where to dispose of unrinsed items. Always rinse containers before placing them in your recycling bin. Even with the increased exposure and education around waste and recycling, many people still donâ€™t have a great understanding about how their waste is processed and recovered. 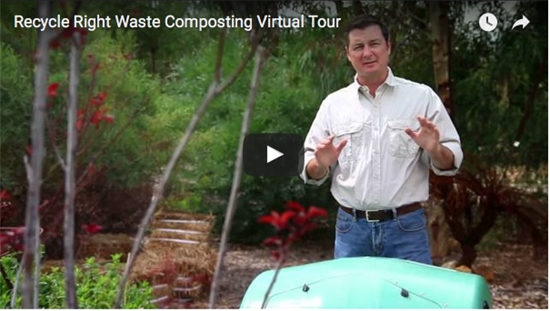 If you havenâ€™t already checked out our virtual tours, youâ€™ll find they are a great way to experience the realities of resource recovery, from the comfort of your home, classroom or office. Junk and whitegoods collections have commenced for City of Cockburn residents from the 4th of July to the 19th of September. Go to recycleright.wa.gov.au/resource-recovery-calendars-2016-17/ to find your collection area, or call 9411 3444 for more information. 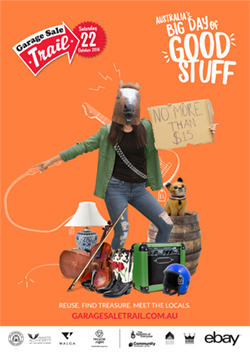 Junk and whitegoods collections commence in the City of Fremantle on the 5th of September. Go to recycleright.wa.gov.au/resource-recovery-calendars-2016-17/ to find your collection area, or call 9432 9999 for more information. 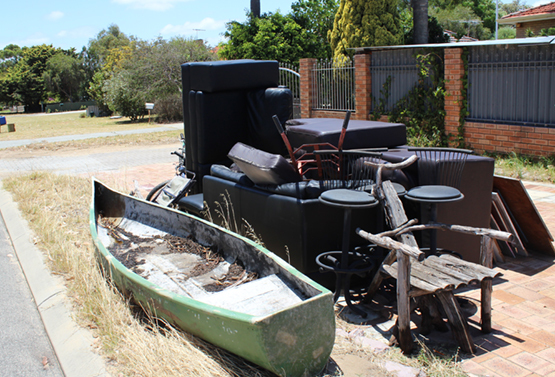 Junk and whitegoods collections commence in the City of Kwinana on the 5th of September. Go to recycleright.wa.gov.au/resource-recovery-calendars-2016-17/ to find your collection area, or call 1300 867 166 for more information. Junk and whitegoods collections commence in the City of Melville on the 12th of September. Go to recycleright.wa.gov.au/resource-recovery-calendars-2016-17/ to find your collection area, or call 1300 635 845. Green waste collections commence rrecycleright.wa.gov.au/resource-recovery-calendars-2016-17/ to find your collection area, or call 9339 9339. 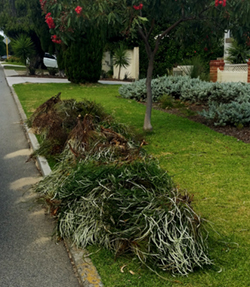 Green waste collections commence in the Town of East Fremantle on the 8th of August. Go to recycleright.wa.gov.au/resource-recovery-calendars-2016-17/ to find your collection area, or call 1300 867 166 for more information. Green waste collections have commenced for City of Cockburn residents from the 20th of June to the 5thh of September. 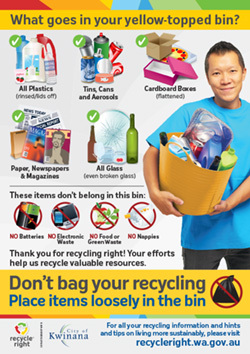 Go to recycleright.wa.gov.au/resource-recovery-calendars-2016-17/ to find your collection area, or call 1300 635 845. With a number of councils around Perth moving towards a three bin system, things can often get a little confusing. Where do we put rubbish that is neither? Must plastic be clean, lid-free? Plastic bags? How is our recycling recycled?